As we are gearing up to the end of term I thought that I would share some gift ideas that are perfect for your child's teacher. I think that a little thank you goes a long way, so are you prepared to say THANK YOU to that special teacher that has helped encouraged your child throughout the year? Or perhaps sending a little thank you gift hasn't even crossed your mind and now you have so many teachers thank. Don't worry that's why I have chosen to focus on a few teacher gifts on the blog this morning. First, to share the friendly reminder. And second, I’d love to ease the burden you might be feeling … just a bit. What says thank you better than a handmade card. It's a one size that fits all, so you cannot really go wrong with this option. So why not spend an afternoon with your children to get creative and make their teacher feel special. There are so many ways that you could try and be creative with your card, Pinterest will be your new friend as it's great for inspiration. However if you have left it too late there are always some great crafters out there that are only too happy to help. As a tea lover this would be a great gift to receive. Being a teacher I am more than sure that a few tea breaks are needed so why not surprise your child's teacher with these personalised assorted teabags. Each are packaged individually in a paper envelope. Handmade & designed specifically with quotes for a special teacher. These are the perfect gift for the end of term. 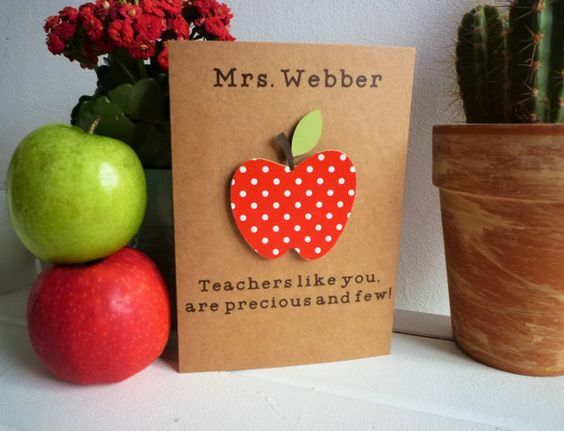 The designs include cute, witty and encouraging quotes to brighten up a special teachers day! The teas are sourced from well known British tea companies and the set includes a selection of flavours: English Breakfast, Earl Grey, Darjeeling, Camomile, Rooibos, Indian Spice Chai, Mint (spearmint), Jasmine Green Tea and Honeybush. These sweet personalised hanging hearts or apples will make a thoughtful and special extra little gift for your teacher you want to thank. A pretty accessory for them to hang proudly in their home. The Heart & Apple wall hangings are approx. 20cm by 20cm at their widest points and are provided as seen in the pictures with garden string and a button to suit the colour scheme. You can choose any wording you like up to 15 words and choose from an array of different colours and fabrics. Nothing say you're fab than a personalised teacher print. I adore these beautiful print by Made in Snetty. Each one of these prints are A4 size, printed onto luxury cardstock and even present in a cellophane envelope. If I am honest I also think that these teacher prints would also be the perfect addition to any room in your home, this would look perfect in our little girl's room. As a geek who loves stationary, this would be the perfect gift for me. I love handwritten notes and therefore I enjoy giving the gift of cute note cards to encourage handwritten sentiments. Throw in some cute office supplies that you know would be practical and visually so fun, punch a hole in the corner of one of the cards, tie some twine, string, or ribbon around the collection, and you’re done! I have become a little obsessed with Love Unique Personal, there are so many wonderful gifts that would be perfect for your child's teacher. You can choose gifts from: pencils, plaques notebooks to wooden spoons, key rings and even coasters. 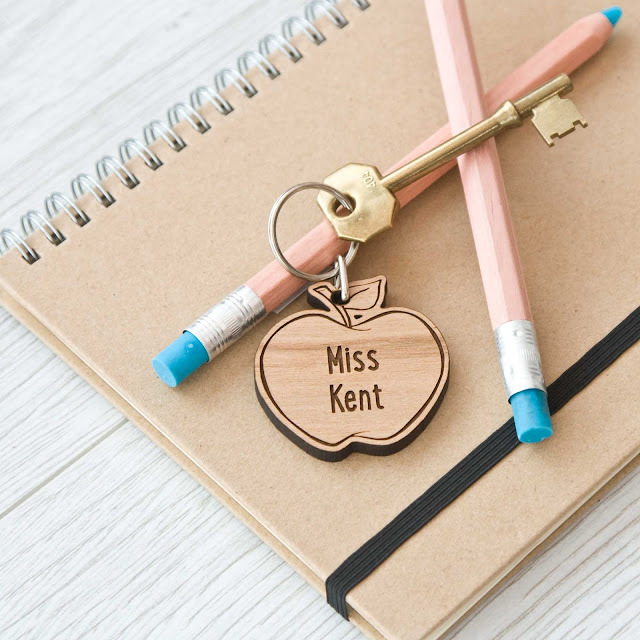 For me I have to say that this adorable apple key ring was by far our favourite so why not reward that hard working teacher who has helped your little one over the last year at school or nursery. A Perfect gift to be kept as a keepsake. Apple Key Ring, Love Unique Personal, £8.99. 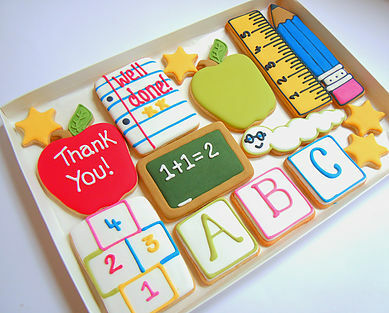 I do not know many people who don't love cookies, so why not surprise your child's teacher with a bunch of super delicious cookies. A selection of sweet vanilla hand iced school themed cookies that can also be personalised with their name to make them feel extra special. Have you thought about sending a little thank you gift with you child on their last day? 8 comments on "7 Best Teacher Gifts That They Will Actually Want..."
Thanks for the great selection of ideas. Our head is leaving this year and we're stuck on a thoughtgul leaving gift. What thoughtful and loving gifts! My favourite has to be the keepsake key ring, that way they can carry around all the time and let them know what a great job they are doing for our children. I love the print but I think my favourite would have to be the cookies, they look delicious! That said my friend is a teacher and she gets so many sweet treats! 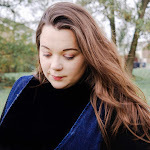 What lovely ideas, and what I like most is that so many of them are very personal, which shows how thoughtful thay are and that you made an extra special effort.